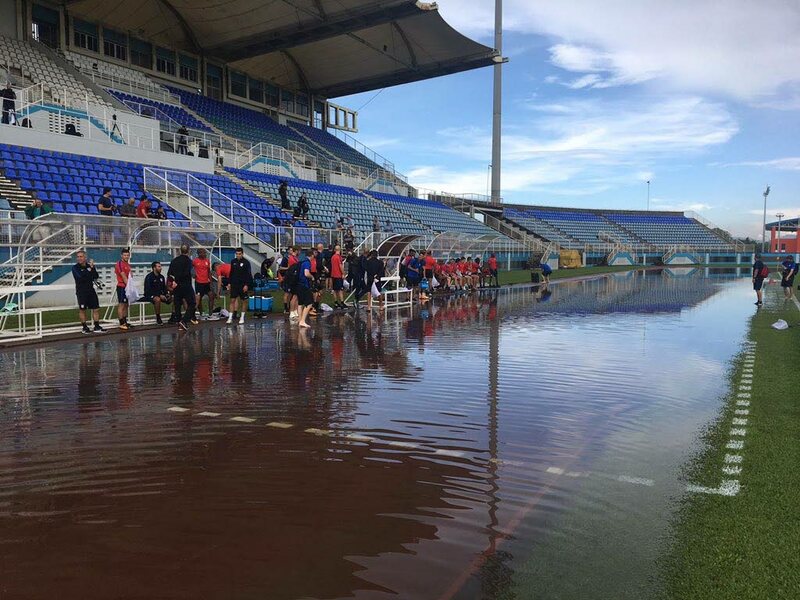 Former legendary sprinter Ato Boldon says the flooding at the Ato Boldon Stadium in Couva today, is a situation that could have happened anywhere in the world with the amount of rainfall that Trinidad has been experiencing in the last few months. The track at surrounding the Ato Boldon football field was surrounded by water on the running track which caused numerous negative comments on social media. In an interview with Newsday Boldon said he felt angry about the situation initially when he was informed that there was a lot of rain. "I woke up this morning to that all over my Twitter, and I was a little annoyed at first because I felt like this supposed to be a fun week for me, because the US team playing in that stadium is kind of a thrill for me," Boldon said. "I have since spoken to people who live in the area and they said, 'Listen, you don't understand the kind of rain that has been falling there.' Stadia flood all over the world so I am looking at it a bit differently now. No amount of drainage would have probably helped that situation." Asked if some of the comments on social media were harsh Boldon said, "Everybody thinks global warming is a hoax until it affects something big, or something you do for a living." At the venue today, US footballers were seen shuttling teammates across the water on their backs, much to the amusement of their travelling media contingent who were busy snapping pictures and filming. Their #RoadToRussia campaign on the US Soccer official Twitter account was altered to #RiverToRussia as Trinbagonians and people from all over the world laughed at the state of the venue for a World Cup qualifying match. The decision to shift national team home games from the Hasely Crawford Stadium in Port of Spain to the Couva venue was done by Trinidad and Tobago Football Association (TTFA) president David John-Williams and has come in for criticism from several stakeholders. On the field, TT are yet to win a game and fans have not flocked to the smaller venue to create the sold-out hostile atmosphere John-Williams intended. 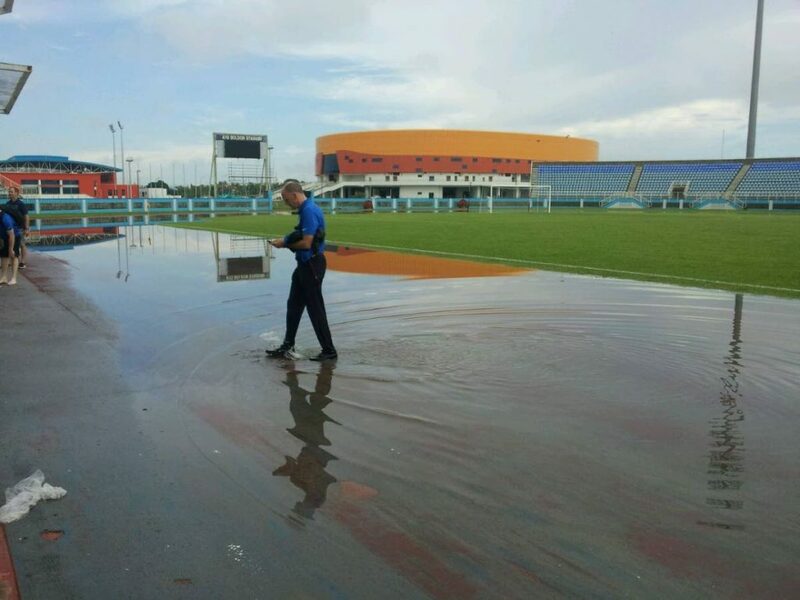 A Team USA official wades through the water covering the track area at the Ato Boldon Stadium this morning. National coach Dennis Lawrence said this morning he does not anticipate the condition of the ground to play any part in the match as both teams have to play on it. Reply to "Team USA meets ‘river’ at Ato Boldon Stadium"